Check out awesome, panoramic views from our 2 br, 2 ba, luxurious high rise home! Exquisitely maintained, our homes shows owner pride / care from the gorgeous kitchen with cascading glass tile, elegant back splash and gorgeous granite counter tops…to the spacious Living Room with a great lanai and fantastic view of sun rises / sets, over the Gulf. A large master also offers a great view, 2nd br has been totally upgraded to offer office space, lots of closet space and queen Murphy bed. Our home is beautifully decorated with wood flooring, crown molding, paint, lighting components that complement tasteful, eclectic furnishings / dcor…all with secure, key entry, extra storage, a community room, sauna and workout room. For boaters…your own slip (#184), nearly a mile of double lighted boardwalk, 200+ boat slips and cleaning stations. For fun…enjoy one of 4 resort style pools, tennis, basketball, shuffleboard and a kayak landing…surrounded by lovely landscaping, the beauty of the Bay and the Gulf of Mexico. 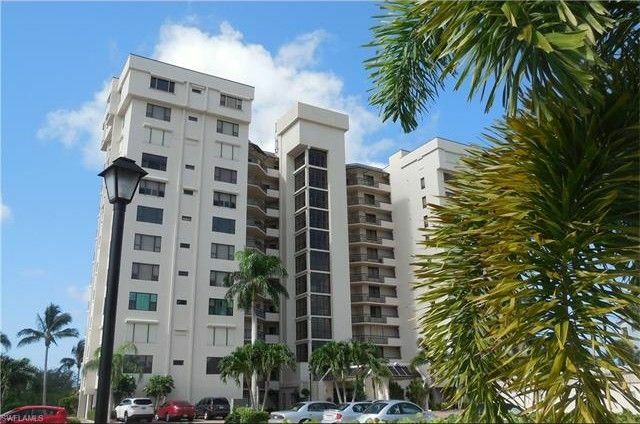 A great luxury, high rise home in the beautiful, fenced, gated, Boardwalk Caper Marina Community…near beaches, restaurants and shopping. Inclusive of 2 kayaks with accessories! Directions: From Summerlin Road, south on San Carlos Boulevard to Fort Myers Beach about 2 miles. Boardwalk Caper gate is on the right at the end of the long white wall, just before Pincher's Restaurant. Enter gate code and go left to the high rise parking area.